Our place is very well connected by public transports, a 5 minute walk away from the Pisa San Rossore train station, and a 15 minute walk away from the Pisa Centrale train station. Buses to the beach, train stations and airport stop nearby. 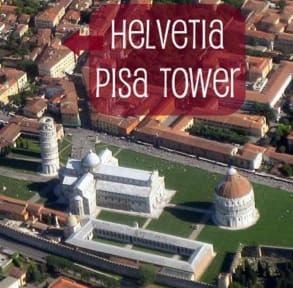 Helvetia Pisa Tower is a simple, warm, clean and well decorated place full of quirky features. During our recent building renovation,one of our collaborator was the local artist Francesco Moretti, who restyled the Bar and the head of most of the beds. All bedrooms have a TV, a ventilator on the roof, heating and double glazings. 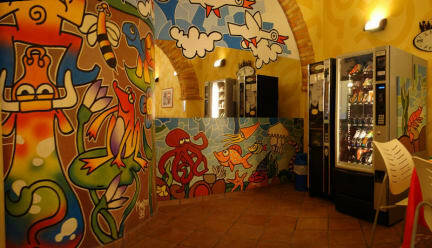 There is free WiFi access throughout the hotel and another free internet access point in the common room. Our common room open 24 hours a day with automatic machines for soft-drinks and snacks. We take care of your luggage for free before checking in and after checking out.